Renault's marketing campaign for the Zoe EV (pictured) will emphasize to buyers that electric power is common in everyday life. 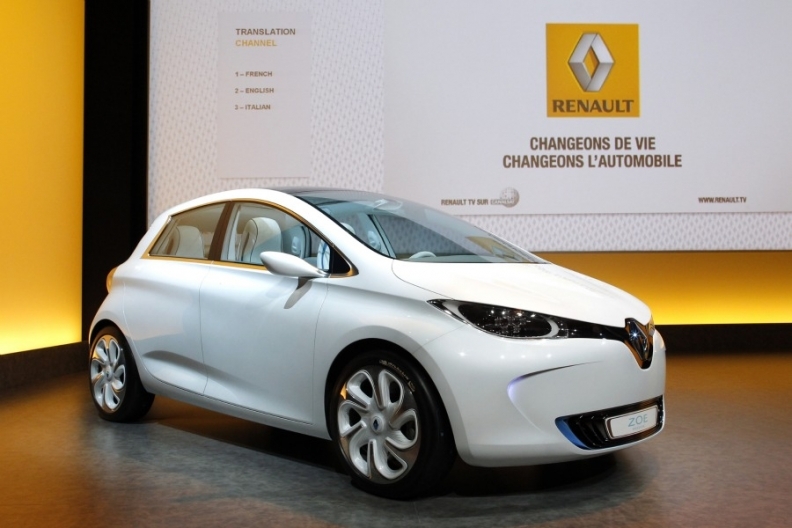 CANNES – Renault SA will start its biggest marketing campaign in over two decades for the launch of the Zoe electric car and the new Clio subcompact, Stephen Norman, Renault's global marketing chief said. Norman attributed the importance of the campaign to Renault's plans to reinvent its brand, which is also part of the French carmaker's new mid-term strategy. "The difference (with this campaign) is in the products themselves, which are radically different than anything Renault has done in many, many years," Norman told Automotive News Europe in an interview at the film festival here. Renault has been an official partner of the Cannes Film Festival for the past 28 years. Norman, who was instrumental in the success of the marketing strategy for the Fiat 500 while at the Italian carmaker, described elements of the upcoming campaign. "For the Clio, I see a poster campaign with the car in metallic red, on a red background with a strapline that says you will buy it for its quality and for its safety," Norman said. "And for the Zoe, I see something that says you switch to electric for so many things, so why not for cars." The campaigns will be largely digital, Norman said. The Zoe and the fourth-generation Clio launch next year. "These days, you can't get out of bed without it being digital – 80 percent of the people who have visited our showroom have been to our Web site," Norman said. "So you can no longer think of mass media without thinking about digital today." The overall message Renault seeks to communicate with its Zoe and Clio campaigns is that Renault is a quality brand. The brand's image has also suffered during the past decade. "Renault in the 1990, 1980s, and in the 1970s was synonymous with small-and medium-car excellence," Norman said. "I don't think we are far behind today, but we are not at the top. These two cars will clearly put us back in front of any other carmaker, including Volkswagen."